Many houses in the UK have an attic or loft space that is basically redundant or at best underutilised. Here at Northern Heights we believe that in many of these cases this can offer a great opportunity to expand living space for your home. Here we cover some of the technical issues that may affect the building, construction and importantly the design of a loft conversion and also provide some information on the Building Regulations that may apply to help create a safe environment for living in your loft conversion. Is my Loft Suitable for a Loft Conversion? Always carry out a brief survey before you start any project and a loft conversion is no exception. 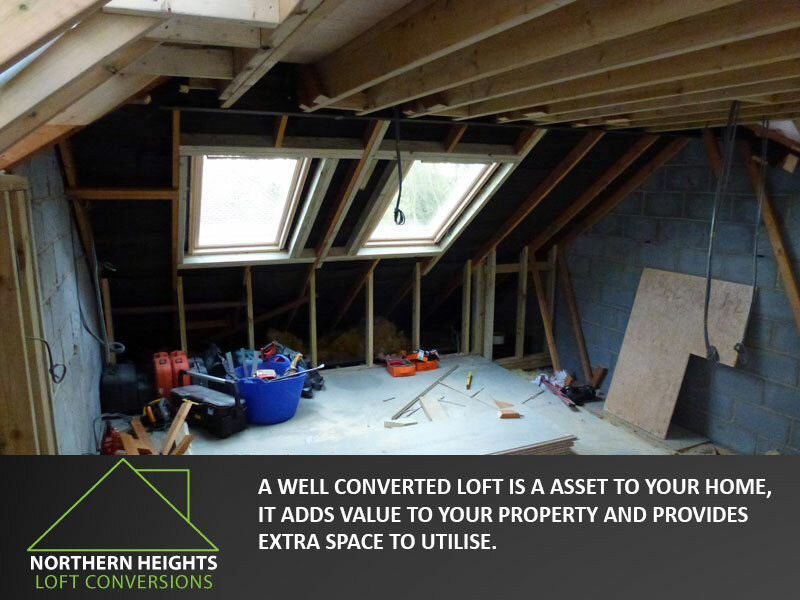 Not all lofts are suitable for a conversion, so check before you start planning your project, it will save you time, effort and money. Is there enough height in your loft for you to comfortably stand up straight? Is the space in your loft big enough to create a room that will be useable? Are there any elements such as services or chimneys that will need to be removed? Is your roof fully watertight or has it got felt under the tiles? New floors will raise the flooring by around 20cm above the joists, please remember this when measuring height. 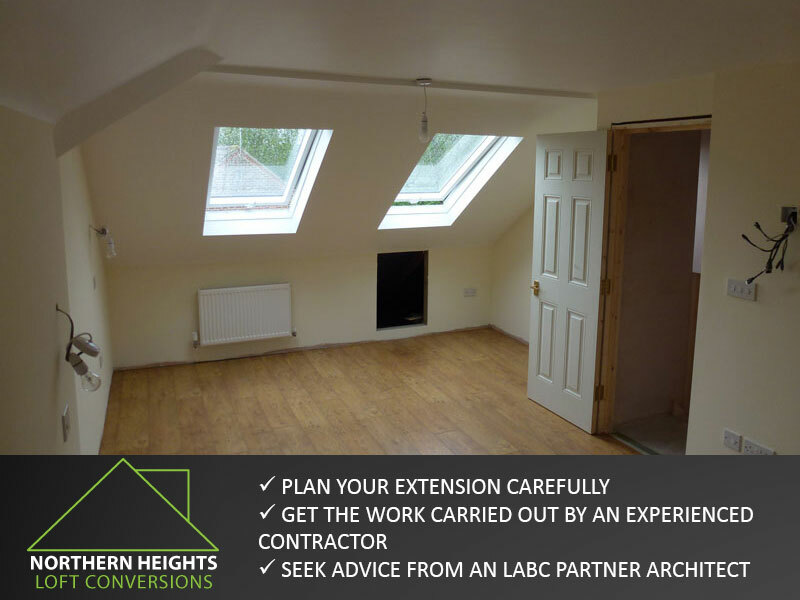 Loft conversion projects are complex and unless you have construction experience you will need to get some professional help and advice. 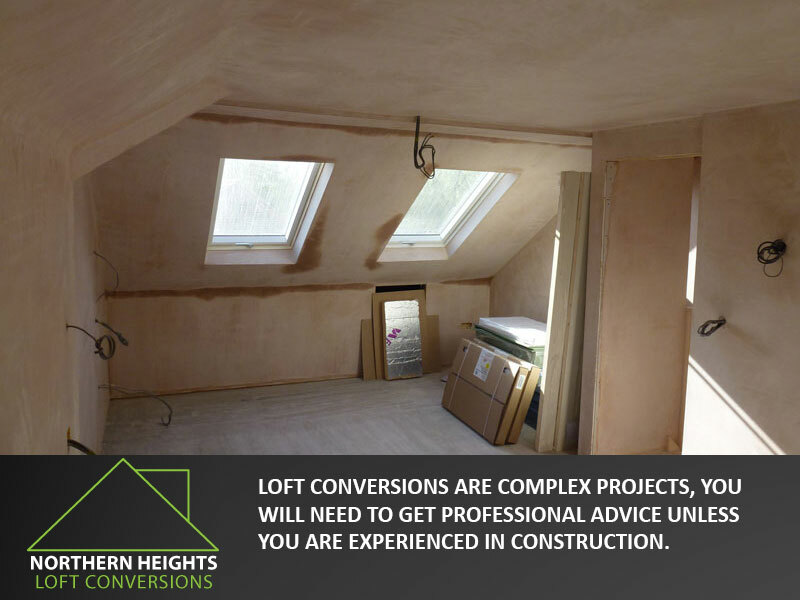 Call Northern Heights Loft conversions for a free quote or advice. A roof is naturally designed to protect you and your family from the elements and in the majority of cases a loft space is designed to handle light storage. With a loft conversion the roof will have to handle considerably different loadings and more weight as well as a new floor structure as well as structural alterations in the existing space area, such as the installation of windows etc. Roofs can generally be put into two categories. This type of roof is difficult to convert. Roof trusses are complex engineering and should not be altered without the advice of a structured engineering. This type of room is generally made up of a series of rafters and purlins spanning between load bearing walls. This type of conversion is less complex, though beams will often be required to provide support for the new floor structure and the existing purlins. Again, it is best to seek out a structural engineer as a structural engineer’s design will required. 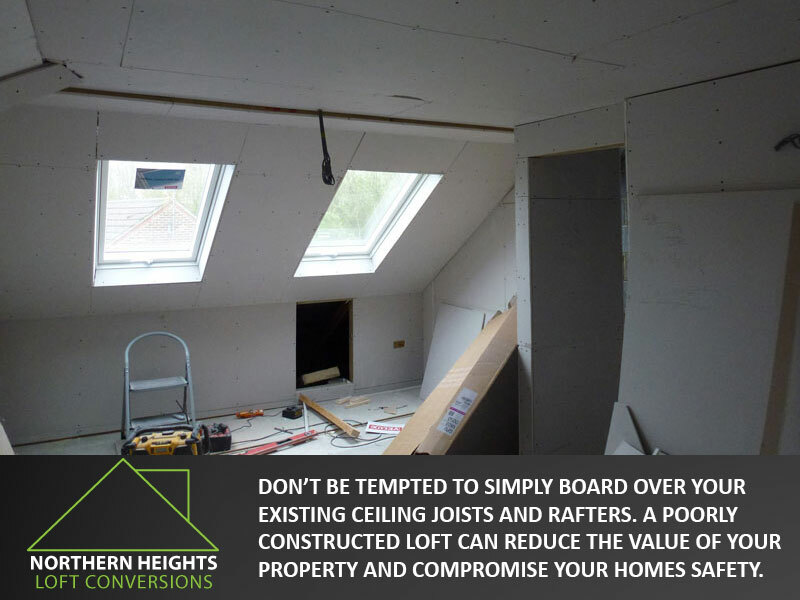 When planning a loft conversion do not be tempted with just boarding over he existing joists and rafters, this can be detrimental to the value of your property and in some cases may cause overloading and may mean your property becomes unsafe to live in. If the area is to be habitable it must have a staircase installed. If there is enough headroom it is best to continue the existing stairwell as this saves space and in many cases cost. It also looks better and gives continuity to the home.